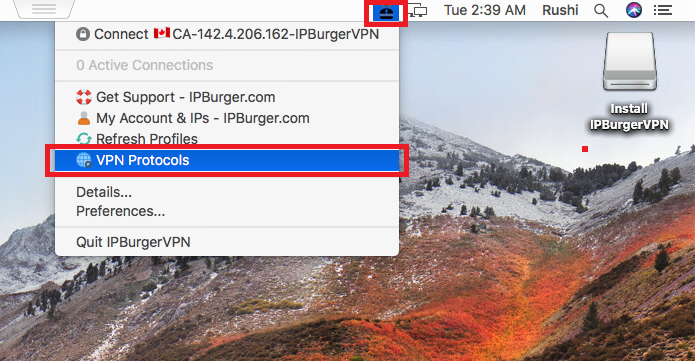 Click on IPBurgerVPN icon and click on 'Preferences' as shown below. 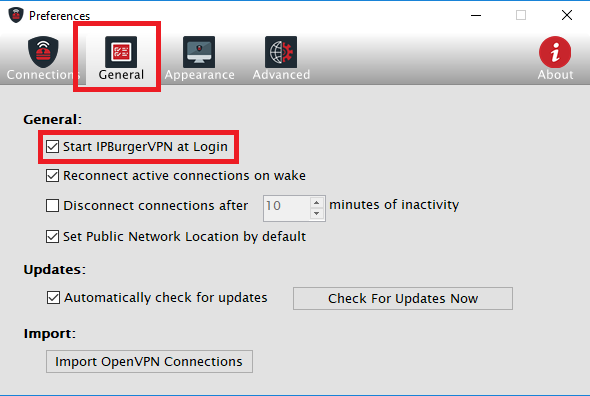 Go to General tab and checkmark 'Start IPBurgerVPN at Login'. Switch back to 'Connections' tab and select the IP profile and then duplicate it as shown below. Once a duplicate copy is created, select it and click 'Edit'. 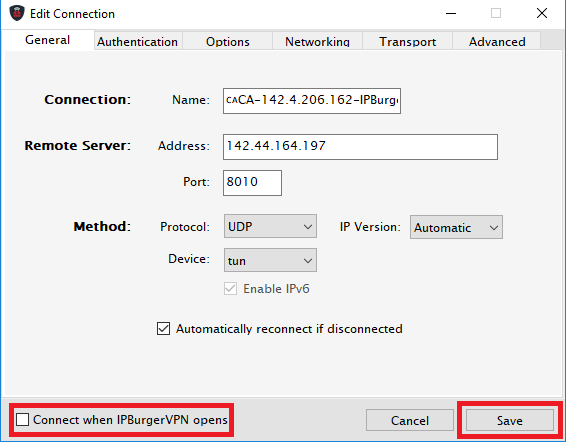 Checkmark 'Connect when IPBurgerVPN opens' and save. 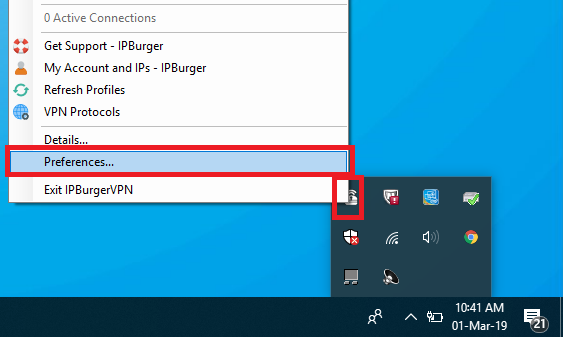 Disconnect the IP and restart the computer to test the auto-connection. 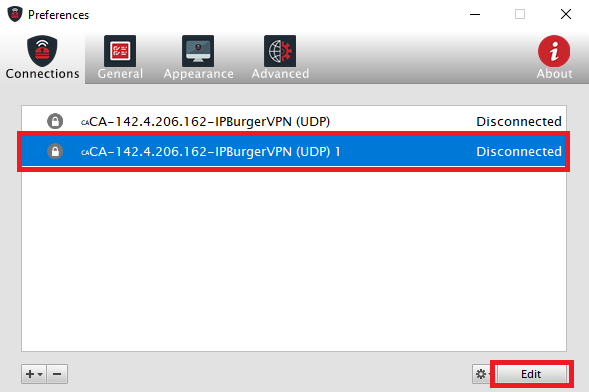 The software will auto-connect the IP, but it is recommended to check your IP every time by visiting IPBurger.com before you access your accounts. If you have issues following the guide, or if you need any other help, you can always reach out to us here.